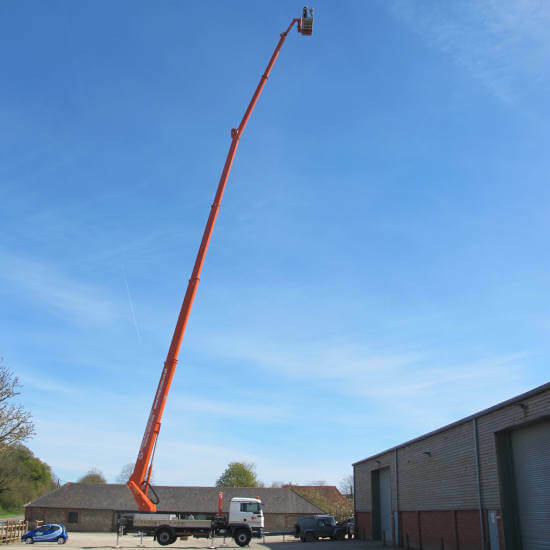 Palfinger 480 access hire – Call for our best prices. 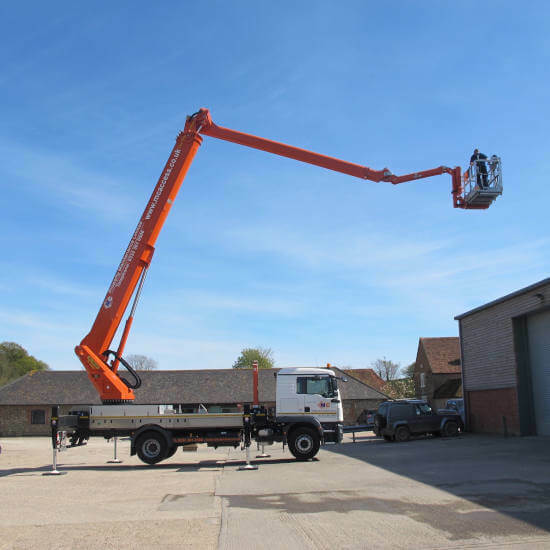 The excellent capabilities and flexibility of the Palfinger 480 truck mounted access platform makes it a great choice for a range of tasks. 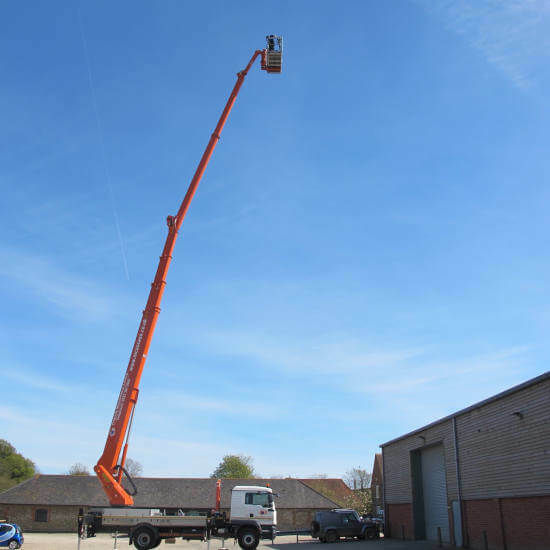 The Palfinger 480 is capable of reaching a height of 48 metres with a total outreach of 31.5 metres. 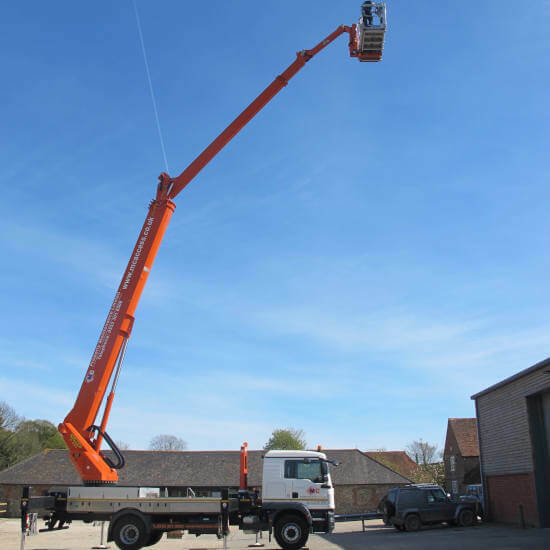 The rotatable workbasket and 240° X-jib allows for precise work at considerable heights. 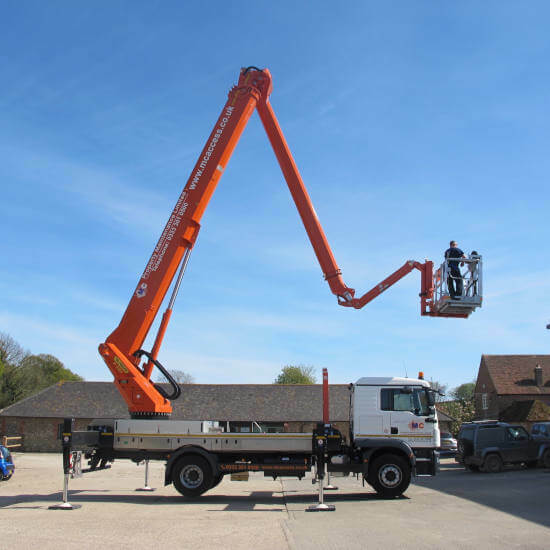 The Palfinger 480 was also awarded product of the year at the 2015 International Awards for Powered Access. 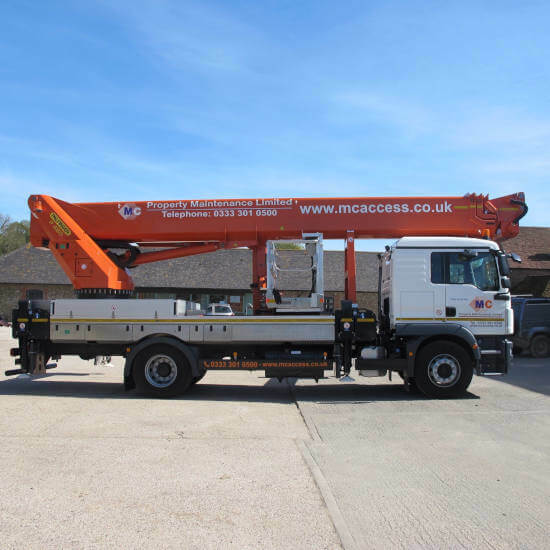 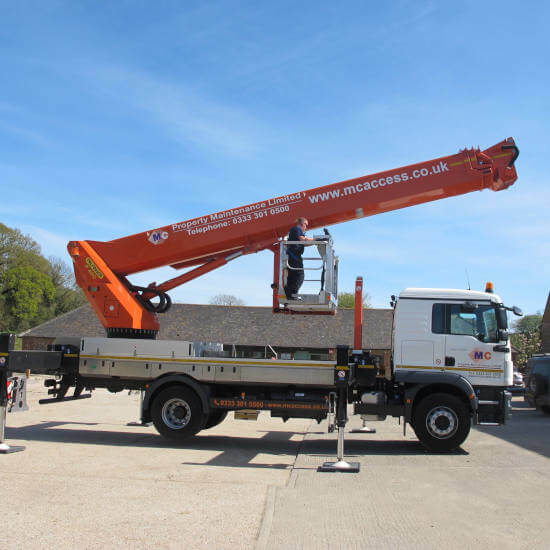 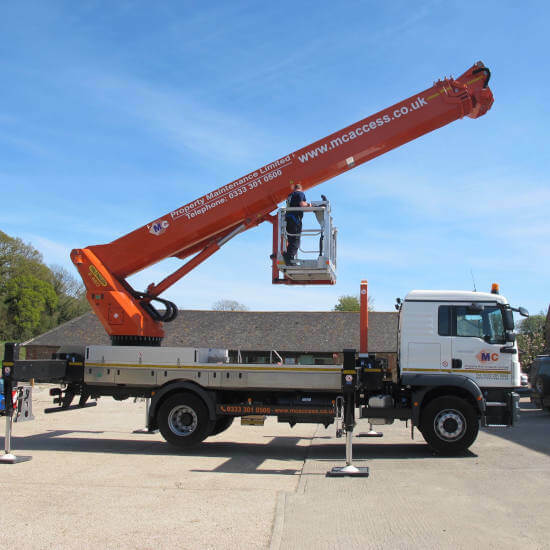 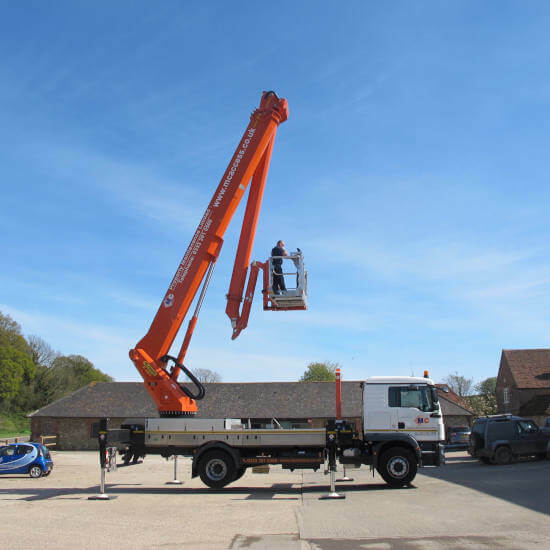 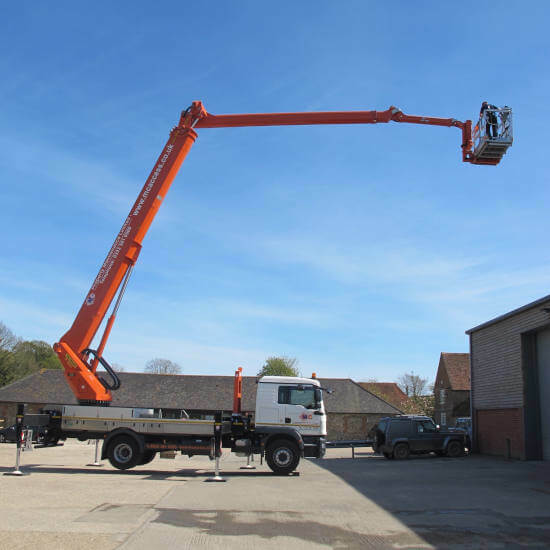 The Palfinger 480 is perfect if you are looking to hire a vehicle mounted cherry picker.